The older you get the more help you need staying in shape. In addition to my new Fitbit Charge 2, I got a Yunmai Premium Smart Scale to help me set goals and track changes as I work out (or don’t). I’ve had scales from AND and Fitbit in the past, but never really used them because they only measured weight. This new scale measures a whole lot more, but is it really useful for understanding the bigger picture about your health? Fitbit). I chose the white model because it fits my bathroom better. The device includes batteries and footpads for a carpet, although the instructions tell you numerous times to only use this on tiles/hard flooring. 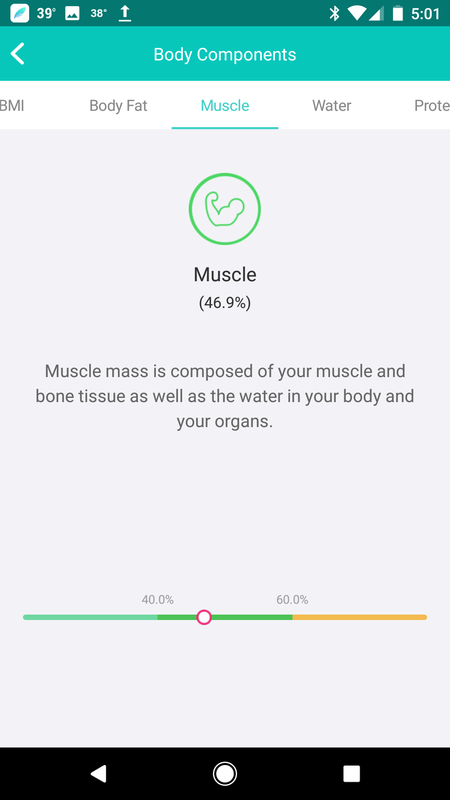 The device will measure a whole bunch of metrics beyond just weight: fat, BMI, muscle, visceral fat, protein, bone mass, water, BMR, and a relative “fitness score”. Keep in mind that this is a residential unit so how accurate it really is remains to be seen. Its also a “footpad” device and that has limitations compared to in-clinic methods. That’s ok however because I’m looking for “trends” and not absolute values. Scan the QR code on the box or go to the Play store to get the app installed on your device, in my case my Google Pixel phone with Android 7.1.x. I went to the play store as I don’t like downloading apk’s directly.Registration was simple, but I found some odd things – asking you age and not birth date, and the height/weight controls were really small. Stick the batteries in and following the quick start guide to the scale paired to your device. Pretty simple. I didn’t even have to enter a pin code. Really nice! I remember the hassle of the Aria scale. 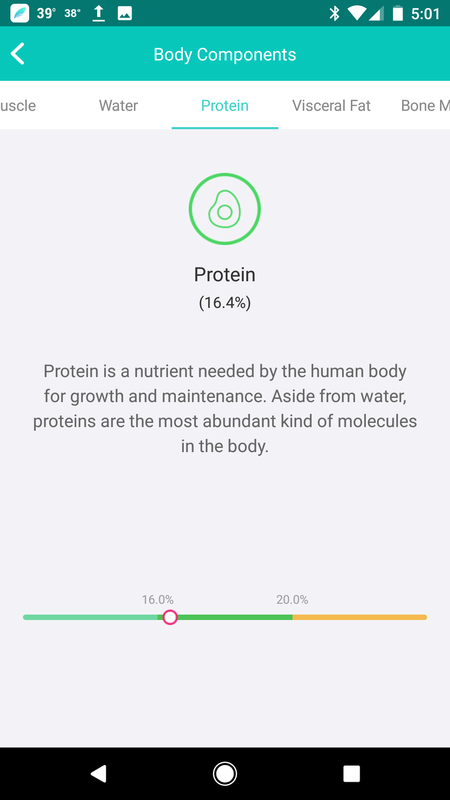 Data transferred right over to the app. 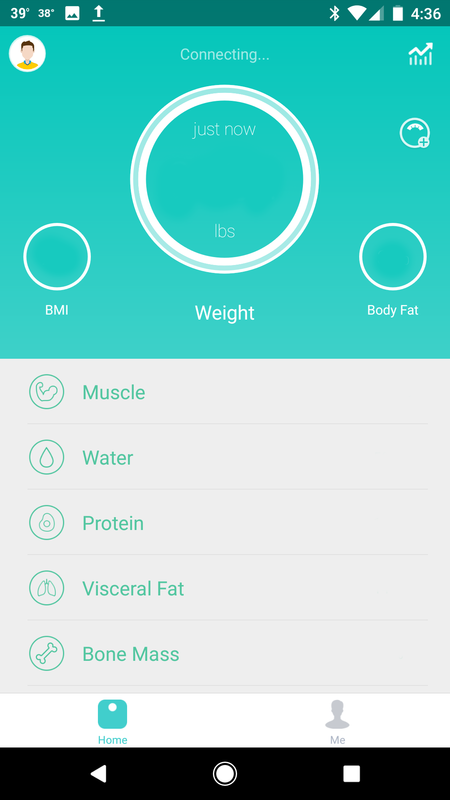 I synched weight over to Fitbit and it also synched over body fat (bonus!). There are options for other health data management tools as well, I assume Healthkit on iOS. 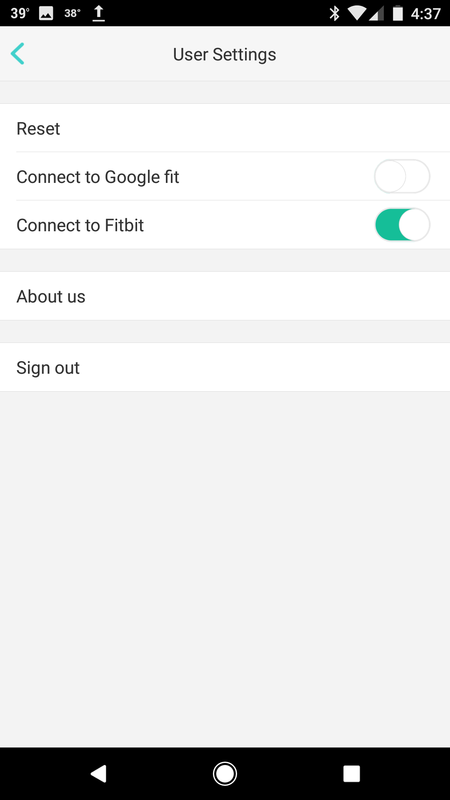 You do have to set a goal over on Fitbit as that is not synched between the two as far as I could tell. The integration was really quite easy and slick. Now I have no excuses between the two tools! D’oh. I’ve got the scale down in my basement workout bathroom. Very easy to use so far. I’ve found that I do not need to have my phone literally with me, the connection will reach upstairs. The scale takes about 5 seconds to calculate everything, which is pretty reasonable. It will hold up to 1000 readings so if you don’t have a connection, it won’t lose your data. The app is pretty decent. Simple to use and with enough depth to let you go through screens and trends if you want to. Its nothing fancy – which is great and probably why it is so easy to use. 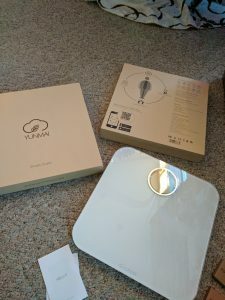 Great experience getting this Yunmai Premium Smart Scale working correctly. I think it is the easiest tech thing I’ve ever done. Now its up to me to see if this scale will help me to reduce that age estimate, which is kinds scary. Time to work out! Then we will see if the trends and trackers lead me to better fitness.